In addition to helping business’ access a wide pool of qualified freelancers, FieldEngineer also helps to ensure the process of your work project proceeds as effortlessly as possible. You will be able to track your workers’ location, receive detailed reports and analytics, dispatching, mobile payments, and much more besides, all provided in real-time so you remain fully empowered and in control at all times. 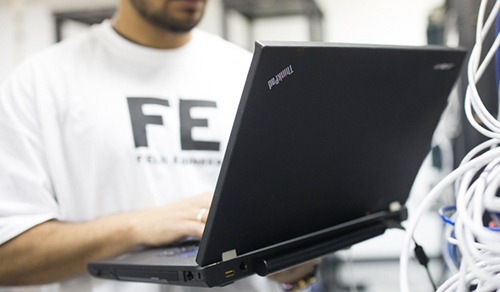 To start the process of finding the perfect laptop technician for your business’ needs, all you need to do is sign up to FieldEngineer, submit your first work order, and then browse the engineers our algorithm provides. The process couldn’t be simpler, so give it a try, and you’ll soon be enjoying the ability to find the right engineers, at the right time for your business, every time.